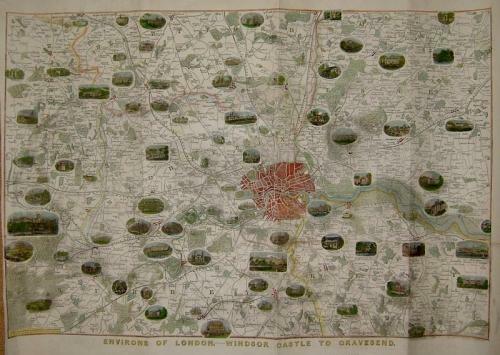 A magnificent large map with inset prints of the major buildings, issued with the London Illustrated News, 1857. On the verso is an uncoloured print 'Arrival of the Empereor and Empress of the French at Winsor Castle'. In very good condition with a few repairs to the folds and a small tear.